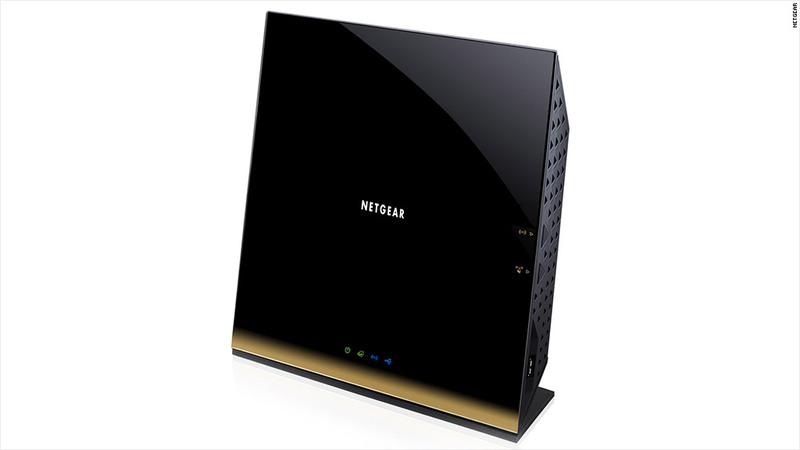 Only a handful of Wi-Fi devices feature the new "ac" technology, including this Netgear router. The latest Wi-Fi technology, called "802.11ac," offers speeds of up to 1.3 Gigabits per second. That's fast enough to transfer an entire high-definition movie to a tablet in under 4 minutes, share photo albums with friends in a matter of seconds or stream three HD videos at the same time. It's more than double the top speed of the previous standard, known as 802.11n. Those speeds are theoretical maximums -- very few people have anything close to 1 Gigabit speeds from their home broadband connection. Average speeds are less than 1% of that. But the faster speeds mean the new Wi-Fi standard will offer a much bigger pipeline for all those videos, songs and games that a growing number of people are streaming on multiple devices simultaneously. The Wi-Fi Alliance, a global organization that ensures the interoperability of Wi-Fi technologies, began certifying so-called "ac" devices Wednesday. It kicked off the certification program by signing off on 19 routers, access points, microchips and smartphones. The shortlist of certified devices includes the Samsung Galaxy S4, Samsung Galaxy Note 2 and routers from Cisco (CSCO) and Netgear (NTGR). Shipments of ac Wi-Fi devices began last year, but they remain very hard to find. The Wi-Fi Alliance believes that the start of its ac certification program will get the ball rolling quickly. "Usually, our certification programs serve as one of the contributing factors to widespread market adoption," said Kelly Davis-Felner, the Wi-Fi Alliance's director of program management. "But already, this feels like a much more accelerated adoption than in years past." A recent ABI Research forecast predicts that 40% of smartphones will support the newer version of Wi-Fi this year. By next year, the Wi-Fi Alliance expects ac devices to make up the majority of the Wi-Fi market. Even Apple (AAPL), typically a late adopter with new technologies, has announced that its future products will feature ac Wi-Fi connectivity. The new Wi-Fi standard comes at a crucial time: The average number of Wi-Fi devices in U.S. households has doubled since 2008, with each home averaging four devices connected to the Wi-Fi network during peak usage times. As the number of demands on the network grow, the need for more Wi-Fi capacity grows along with it. Also, as a growing number of consumers and businesses install Wi-Fi networks, interference is becoming a concern. The new standard aims to solve those problems. It allows more devices to simultaneously connect to a network without a degradation in performance. It also features lower latency times for streaming music and gaming, where network hiccups and delays can ruin a user's experience. And the latest Wi-Fi standard helps deliver streaming videos more reliably, even when the network is being used by other devices. As an added bonus, 802.11ac requires devices to have support for two bands of airwaves, which will help to reduce interference. And it requires less power consumption from smartphones, tablets and PCs when they're transmitting data. Wireless carriers are keeping a very close eye on the new Wi-Fi standard. Cell phone companies are increasingly looking to deploy Wi-Fi hotspots to offload traffic from their congested networks. The new standard offers speeds that are on-par with 4G. "The ratification of the 802.11ac standard will significantly improve the usefulness of Wi-Fi to carriers," said Mike McCormack, analyst at Nomura Equity Research. Carriers have begun testing out technology that automatically switches users from 3G and 4G networks to Wi-Fi. As the number of "ac" mobile devices grow, McCormack said consumers may all soon be connecting to Wi-Fi networks without even knowing it.